This kit meets or exceeds original equipment specifications. (2000 2001 2002 2003 2004). All 4 Cylinder Models with 2.5 Liter / SOHC / Non-Turbo. Includes The Following Brand New Parts. Hydraulic Tensioner with Tension Roller Assy. More Timing Belt Kits Available. Subaru Outback Timing Belt Kits. 2007 Subaru Outback Timing Belt Kit. 2006 Subaru Outback Timing Belt Kit. 2005 Subaru Outback Timing Belt Kit. 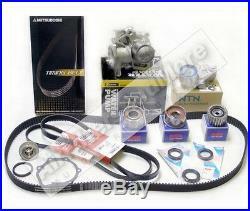 The item "Subaru Outback Timing Belt & Water Pump Kit NON-Turbo" is in sale since Monday, June 06, 2011.